Math and Sorcery is a new free iOS app that is quickly becoming one of my favorite educational games for my iPhone/iPad. 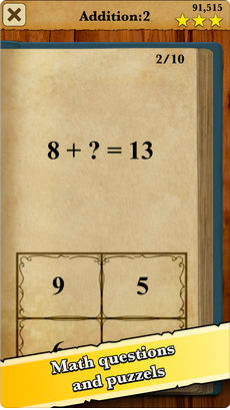 Math and Sorcery uses a familiar RPG gaming element to reinforce basic Math skills (i.e. addition, subtraction, etc.). RPG fans will love the 8bit style graphics as they defeat enemies by solving equations, buy/sell items, and unlock different characters/animals to join their party. This is an excellent app for parents/educators looking to introduce "game based learning" into their student's life. I highly recommend checking out Math and Sorcery by clicking here!!! Otus is a all-in-one mobile learning solution for schools that combines the best features of a: learning management system, data management system, and more. 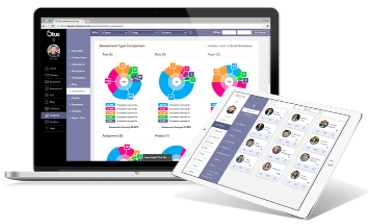 The sleek new design, allows for easier functionality, a brighter customizable color interface, and real-time analytics and third party integration (i.e. Khan Academy), and of course Otus Worksheets. Real-Time Analytics: A comprehensive analytics dashboard integrates a wide range of performance indicators into one place, including content from select third-party apps like Khan Academy. Teachers can link data to Common Core State Standards or integrate their own custom standards to report on. Otus tracks a variety of data like attendance, participation, student blogs, assessments and grades. In addition, teachers can also create and track meaningful behaviors like grit, leadership and staying on task through Otus ‘Recognitions’. Because Otus logs all student activity in real-time, teachers can quickly gauge their impact on student growth and provide timely, constructive feedback. Toolbox: Otus functions as an open, interoperable educational ecosystem allowing teachers to integrate and quickly access the third party apps and content that they use everyday in their classroom. Any Otus user can access free third-party apps or content. If third-party apps and content require a subscription, the subscriber must simply link their account to Otus and they will never have to sign-in to access it again. Colorful Work Environments: Now teachers and students can choose from a variety of theme and background color options to create a more personalized, vibrant work environment. I highly recommend checking out Otus by clicking here!!! For more information check out Otus on Technology and Learning. *Otus is an advertiser of Technology Tidbits. Education Galaxy is an innovative online platform for helping students grades K-6 achieve mastery/success in their subjects. This is done in a through a wide variety of ways such as: game based learning, interactive problems, and more. Also, Education Galaxy makes it easy to assess student's performance and differentiate instruction through their online portal. 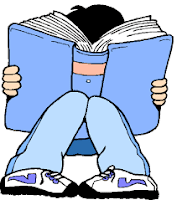 Students can even use Education Galaxy for "self paced learning" as any question that is answered wrong a detailed explantation is given to help reinforce learning. Finally, there is an adaptive learning program called Liftoff that helps struggling students improve in their "difficult" areas and promote confidence. 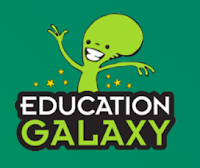 I highly recommend checking out Education Galaxy by clicking here!!! Night Zoopkeeper is a new free site for students to help their Writing skills through fun interactive lessons. Best of all, the educational portal allows educators to: assign lessons, track student progress, and assess their work in real-time. This makes it easy for teachers to differentiate instruction and implement project based learning in their classroom. 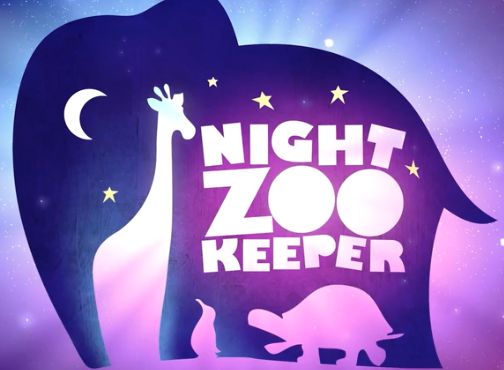 Night Zookeeper in 80 seconds from Night Zookeeper on Vimeo. I highly recommend checking out Night Zookeeper by clicking here!!! 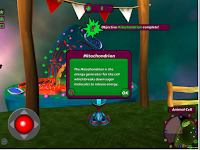 Be sure to check out Night Zookeeper's Lesson Hive to find interactive lessons on a wide range of subjects. Finally, the people at Night Zookeeper have released a free learning tool that easily creates Writing Prompts for students. All a user has to do is select their writing style, age, and then time on how long they want to write and Writing Sparks creates the challenges/prompts for the students. As w/ Zookeeper, Writing Sparks will assess students in real-time to help teachers assess student's learning. For more information on Writing Sparks click here!!! Help Teaching is an excellent site for educators, parents, and others looking for educational resources such as quiz/test creators, online assessments, or worksheets/printables. 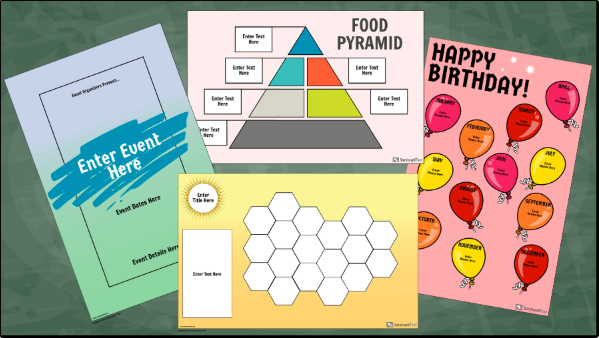 These printables are for K-12 and cover a wide range of subjects. Also, there is a test/virtual room where students can take online assessment and get results in real time. I highly recommend checking out Help Teaching by clicking here!!! For my Printerest Board on Educational Resources click here. *Help Teaching is an advertiser of Technology Tidbits. 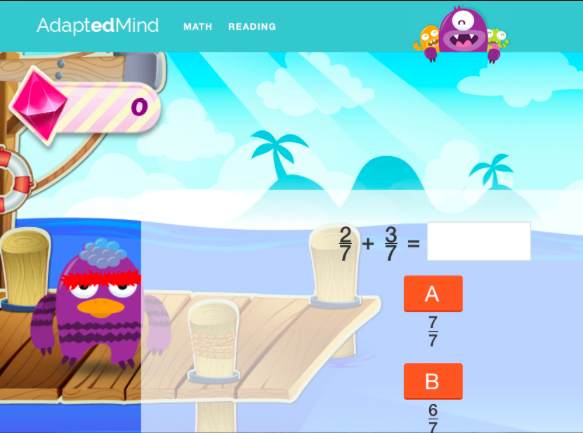 AdaptedMind is an excellent online curriculum for Math and Reading Grades K-6. 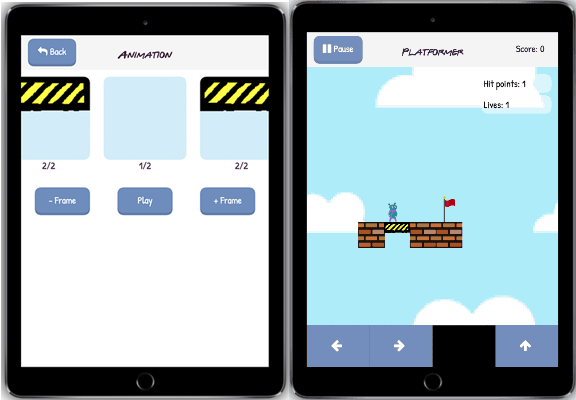 AdaptedMind uses Game Based Learning to help students in a wide range of topics such as: fractions, comprehension, multiplication, and more. Best of all, the educational portal allows teachers to track and monitor students, while generating detailed reports to help differentiate instruction. Finally, AdaptedMind uses a digital badge platform to help reinforce and motivate student learning. I highly recommend checking out AdaptedMind by clicking here!!! Answerables the innovative educational tool that combines the best features of game based learning w/ a learning management system has just released their free iPad app. Answerables is being used by educators in a variety of ways from collaborating w/ other classes, to browsing the web, all in a secure 3D virtual environment. For another detailed review check out Monica Burn's excellent blog by clicking here!!! Play4A is a relatively new site that I just found out about for Game Based Learning and creating quizzes. This is a great educational tool that teachers can use to easily create games/quizzes that they can then use w/ their students. This is a fun way to assess student's learning of a subject and differentiate instruction. I highly recommend checking out Play4A by clicking here!!! King of Math is a free iOS game designed for Middle School Math students. King of Math lets users create their character and then level up by answering questions in any number of topics such as: addition, division, fractions, etc. I highly recommend checking out King of Math by clicking here!!! Socrates is an innovate new site where educators can seamlessly differentiate instruction for each student through a unique game based learning system. This is done through fun and engaging learning games w/ educational portal where teachers can track and monitor student progress, assign educational videos, use a digital badge system, testing, benchmarking, and much much more. I highly recommend checking out Socrates by clicking here!!! *Socrates is an advertiser of Technology Tidbits. Storyboard That is one of the most universal learning tools around. This innovative site is being used in a wide variety of ways by educators such as: storyboards, digital storyboards, timelines, graphic organizers, project based learning, and much much more. Recently, Storyboard That released templates for creating posters that can be integrated into any subject or curriculum. I highly recommend checking out Storyboard That's poster template gallery by clicking here!!! boclips is a new (beta) site for educational videos that I just found out about from Richard Byrne's excellent blog. This is a great place where educators can find safe school appropriate videos for their classroom. Best of all, boclips can be used in districts that block YouTube since it does not use their video player. I highly recommend checking out boclips by clicking here!!! Throughout the last few years I've compiled quite a few lists of my favorite sites/apps for a variety of subjects. Mobile learning and BYOD (bring your own device) is making it easier for students to learn, especially in the subject of Math. 4 Dice: Fraction Games - A great iOS app for learning how to add, subtract, multiply, and divide fractions. This game meets Common Core Standards and has blue tooth capabilities to allow for two players across multiple devices. 5 Dice: Order of Operations Game - A neat iOS app for practicing "order of operations" where the answer is giving and students need to figure out the equation. Some nice features include the email feature for teachers to track students ability as well as a nice interactive whiteboard to help figure out the problem. ABCYA - A wonderful site/apps (grades K-5) for Math, Reading, and more. AplusMath - A nice site for Math games, worksheets and flashcards. BuzzMath Middle School - A fantastic iPad app for Middle School students wanting to learn and practice their Math skills. Some nice features is when a student gets an answer wrong BuzzMath shows them the correct answer and how to solve it. Also, supports "differentiated instruction" as well as a website w/ a teacher portal for managing and tracking students. ClassPad - A new free online Math tool, that creates a digital scratch board to solve any math problem. Cookie - A great site w/ lots of educational games for Elementary schools including Math. DimensionU - One of my favorite sites/program for K-12 for developing Math skills in all areas. This site uses cutting edge technology to reinforce Math skills in 3D games in safe competitive environments. DragonBox - A excellent multi-platform site for teaching students Algebra in a fun and unique way by starting out using pictures instead of numbers. 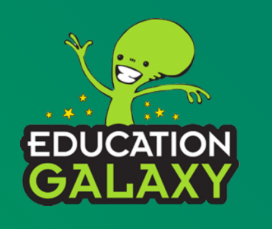 Education Galaxy - An innovative online platform for grades K-6th, that helps students achieve success in any number of core subjects including Math. Fiete Math Climber - A nice iOS game to help students w/ basic Math skills such as: addition, subtraction, and more. Funbrain - One of the most popular educational gaming sites on the web. Grid Lines: Ordered Pair Game - Grid Lines is a very unique and challenging game which has students plot order pairs/points on a four quadrant grid. This is great for upper El Ed and MS students and has blue tooth capability for multiplayer. iKnowIt - A rather new site that is quickly become of of my favorites for interactive Math problems grades K-5th. IXL - One of the most popular sites for Math for Grades K-8th as well as for learning Algebra and Geometry. Not only does this site have an educational portal for student tracking and reporting but tons of lessons to choose from as well. Kidz Page - A nice site w/ lots of fun educational Math games. King of Math - A interesting iOS game for Middle School Math where students answer questions and puzzles to level up their character. King of Math Defense - A wonderful Math strategy game for basic Math skills grades K-8, that has students defending a castle against monsters. Learning Games for Kids - A great sites w/ lots of games for education. Lure of the Labyrinth - A site designed for Pre-Algebra students to go on an amazing adventure to rescue their lost pet and avoid monsters. Not only does this app have a wide variety of lessons for MS students it also is aligned to state standards. Fuel the Brain - A nice site w/ lot of different educational Math games to choose from. Marble Math - Is a great iOS app that has students playing the old fashioned marble tilt puzzle game solving basic math problems (addition, subtraction, etc.) plus decimals and fractions. A user can either tilt their iOS device to move the marble or use their finger to guide their marble to the desired spot. Not only is this game highly addictive it gets rather challenging in the upper levels. Math A Tube - A great resource for Math students/teachers for all areas of Math. A person can not only find videos and worksheets, but explanations of all sorts of Math concepts (ie, Geometry, decimals, fractions, etc.). Math and Sorcery - One of my favorite iOS game for learning basic Math skills playing an old school 8bit style RPG. Math Castle - A super-fun iOS game for basic Math skills that has players defend a castle from a dragon by answering equations. Math Champ - A very innovative iOS app that turns a student's iPad into a "buzzer" to answer questions before their classmate. This does require a teacher to "host" the game as well as setup a class list. Math Chimp supplies all the Common Core Standard questions from a wide variety of Math problems. Math Game Time - A terrific site for grades K-7th w/ lots of educational games, worksheets, and videos. Math is Fun - A cool site for all things Math grades K-12 that has more then just equations to solve. Math Leaper - A fun iOS game w/ detailed reporting that has students jumping higher and higher while solving basic Math skills (grades PreK-8). Math Minute Madness - A wonderful iOS app that focuses on basic Math skills and has students trying to solve as many questions in a minute to earn stars so they can add animals to their virtual zoo. Math Playground - A great site for finding Math resources such as: word problems, games, worksheets, flashcards, and more. Math Rescue - A fun iOS game that has students learning concepts of rounding and estimations while putting fires. Math Run: Panda Chase - A nice iOS game for learning basic Math skills grades K-5 following the popular "running" mobile platform style. MathEdge - A excellent iOS app for young learners working on their addition and subtraction skills through the use of flashcards. Milestone Math - An interesting iOS app that uses self paced learning to help students w/ their Math skills. Money Math Duel - A fun iOS game for helping students w/ Math and learning how to make change. Mystery Math Town - This is one of my favorite and unique iOS apps for building Math skills. Ideally this adventure is for kids 6-12 and focuses on addition, subtraction, multiplication, and division. Students enter a town and try unlock levels and characters by not only solving equations but finding the variables to solve the given equation as well. This game is highly addictive and has very high replay value. Numbers League - A fantastic iPad app for students 5 on up that uses basic Math skills to defeat a legion of evil super heroes. This interactive comic style game focuses on Common Core Standards and can be used by students of all ages as it gets harder and harder. Operation Math - This is a very fun iPad app that focuses on the basic skills of Math while trying to stop an evil villain from stealing numbers by solving equations and locking his escape route. OM is a great game for kids 5-12 w/ high replay value that takes them to lots of geographical locations. Ordered Fractions - A fun iOS game that uses dice to roll random numbers and then have students put them in boxes to create fractions. Students then have to compare these fractions to put into ascending order. 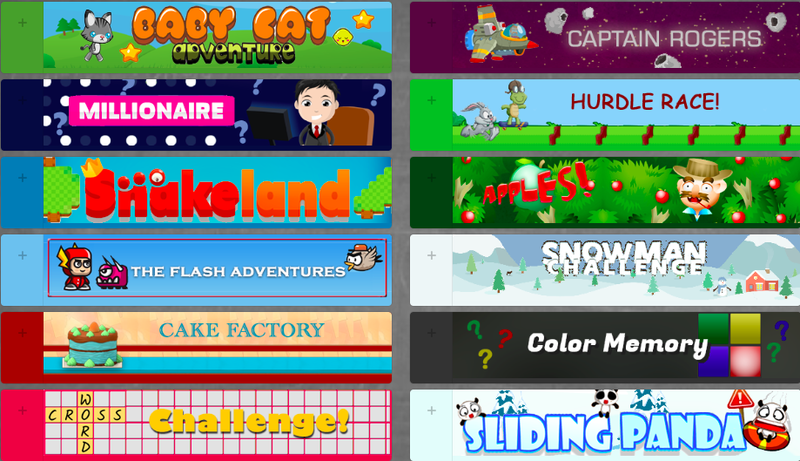 Play Kid Games - A very nice site w/ lots of fun and engaging Math games. Polyup - A new free site that uses Game Based Learning to help students w/ Math in grades 3rd-12th. Prodigy - A excellent innovative Math game for grades K-8 w/ real-time reporting. PurposeGames - A nice little site for educational games on a wide variety of subjects where teachers can create their own games too. RoomRecess - A wonderful site for elementary students to learn basic Math concept through a wide variety of educational games. Sakura Quick Math - Is an ideal iOS app for grades 1st - 5th that focuses on all basic Math skills. Not only does Sakura track students progress it allows for users to write the answer directly on the iOS screen. Skip Math: Skip Counting Games - A fun iOS app similar to Doodle Jump where students jump from platform to platform to count by numbers (i.e., 2, 4, 6, 8, etc.). Another neat feature is the ability to take a picture of yourself and put it on the game character. Sushi Monster - A nice iOS app for practicing addition and multiplication facts. YodelOh Math Mountain - A super-fun iOS app that focuses on the basic skills of Math such as: addition, multiplication, subtraction, and division. This game is a hoot and reminds me a lot of the Price is Right game where the mountain climber tries to reach the top of the mountain before time runs out. Zap Zap Math - A excellent site for Math grades K-6, w/ educational portal for student tracking and generating detailed reports.